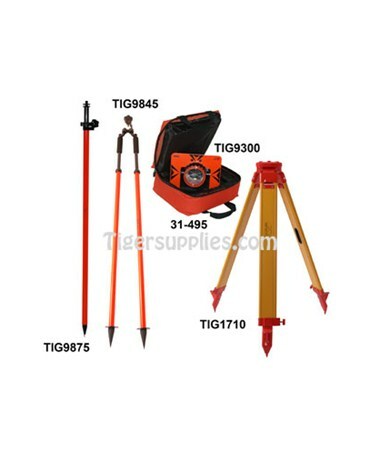 The Tiger Supplies Total Station Accessory Kit is an essential accessory for setting up most total stations. It includes a heavy duty tripod, single tilt prism, prism pole, prism tripod, and a bag to protect the prism during transport or storage. The tripod features wooden legs and fiberglass dowels with inner core. With 30mm offset, the single prism has adjustable tilting that offers superior precision for your total station. 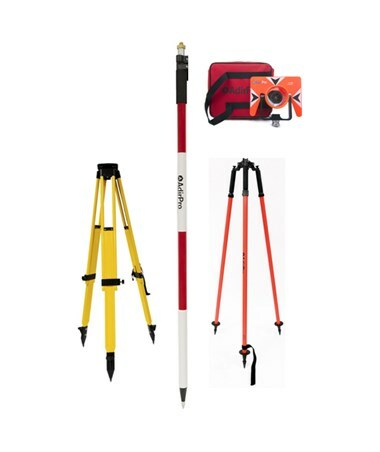 Once you finish taking measurements, you can use the sturdy bag to carry your prism to the next job site. 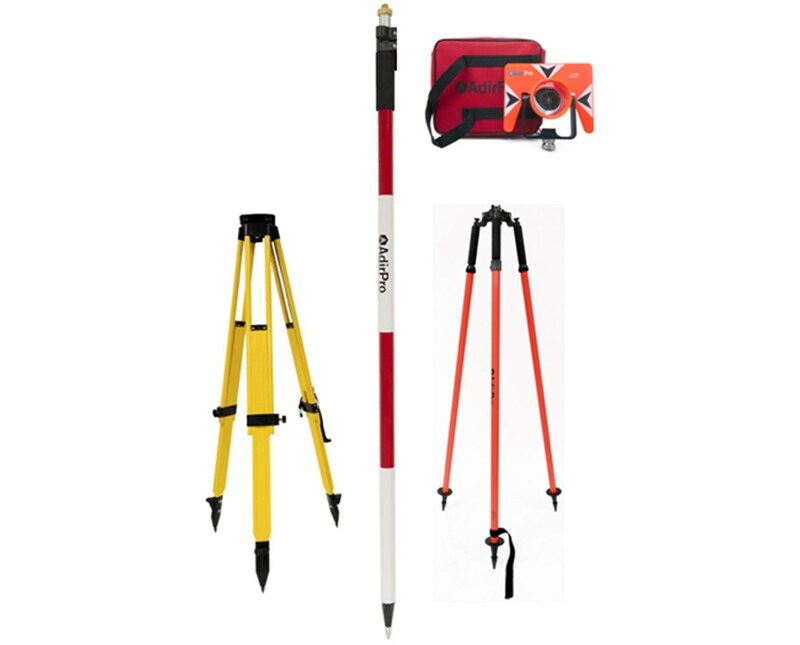 For added flexibility on the field, this accessory kit includes an 8-foot prism pole and a prism pole tripod allowing you to easily mount the prism or your choice of data collector.